Another classic cocktail with deep roots in the mid 1800’s. The original champagne cocktail used a sugar cube, aromatic bitters, cognac, filled up with champagne and garnished with a lemon peel. Many variations have surfaced since then and who doesn’t love a little bubbly mixed with their orange juice for a delectable Mimosa. The Champagne Cocktail is a drink to celebrate with. Why not celebrate the flavor and hang over preventing benefits of kombucha? Using kombucha as a staple ingredient in this cocktail works magically and you will thank yourself in the morning after the big event. Your guests will be surprised by your outstanding mixology and by the fact that they just had kombucha cocktails! In this recipe we will show you how to fix a classic cocktail with a modern twist using kombucha. The Kombucha Champagne Cocktail. Be the talk of your next party and serve something different. Place the sugar cube at the bottom of the champagne flute (optional if you prefer not to have sugar). Combine champagne or sparkling wine in the champagne flute with equal parts kombucha. Pour slowly as the sugar will create added foam and bubbles. Do not stir the drink, allow the sugar to slowly dissolve while drinking. Squeeze a little bit of lemon in to the drink and use as garnish. 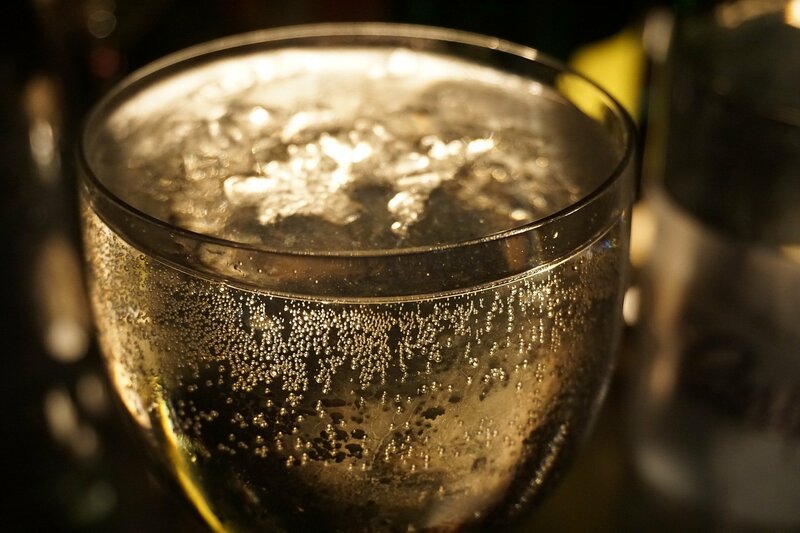 Champagne typically has a more dry acidic taste as opposed to sparkling wine or prosecco which is fruitier and sweeter. If mixing with Champagne you may want to use a kombucha that still has some sugar in it. With sparkling wine or prosecco you can use kombucha with less sugar in it. A traditional Champagne Cocktail has a sugar cube at the bottom of the glass which slowly fizzes away and adds a small amount of sweetness. If this is too sweet for you, you can choose to make the cocktail without it.